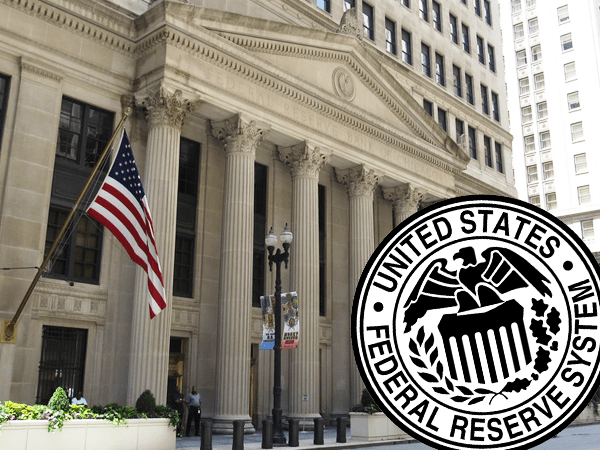 Despite many doubting it would happen, the Federal Reserve has taken its first real step toward unwinding its balance sheet, as promised back on June 14. In the first part of October, the Fed’s balance sheet actually increased, causing many to wonder if they were going to follow through. But by the end of the month, they had actually let $4 billion “roll off” their books. What’s more, on October 31, the Fed unloaded a further $6 billion of $8.5 billion worth of maturing Treasuries it had been holding. This is happening in stark contrast to what many believed would happen. Concerned about their portfolios and real estate investments, many analysts doubted the Fed would actually follow through and unwind QE – even going as far as to say they couldn’t afford to do it. Investors’ doubts were well founded. In 2013 and early 2016, the Fed flip-flopped to the market’s whims by cutting rates and restarting QE at the first sign of any trouble. But the Fed is now on a mission to shrink its balance sheet and revive its credibility with the market. However, this is more than just the Fed rebuilding its tarnished reputation. The reality is, if they don’t carry out their plans to unwind QE (a practice that has been nicknamed Quantitative Tightening, or QT), they will be powerless to intervene should a crisis suddenly hit, deflating asset bubbles and threatening financial stability. The $4 billion the Fed just rolled off its balance sheet is only the beginning. They are planning to reduce their balance sheet by $10 billion a month for each of the first three months of their plan. After which, it will accelerate every three months to $50 billion a month a year from now. This works out at $300 billion over the next 12 months, and $600 billion a year, starting October 2018. All going to plan, this means the Fed will cut its balance sheet by $2.1 trillion after four years. For the moment, mortgage-backed securities (MBS) remain $2.4 billion higher than at the outset of the QE unwind. This delay may be explained by the fact that MBS take a while to settle. However, having met its target of a $6-billion drop in Treasuries, it looks likely that the QE unwind of MBS will eventually follow. Historically, aggressive QT measures like these were used only to control the economy by suppressing inflation and slowing down growth in times of prosperity. Today, we’re seeing the opposite: jobs growth is slowing down, workforce numbers are falling, official inflation is dropping, wage growth has stopped growing, and even home and auto sales are feeling the effects too. With the Fed already proving to be true to its word, can we expect it to happen at the rate they say it will? This could have potentially devastating effects on the economy as $2.1 trillion would be sucked out of the system over four years, and interest rates would increase in what are already less than favorable times. It’s yet to be seen how the markets will respond to the Fed’s gamble. It’s almost as if investors are blind to what the Fed is doing right now. But once they wake up, could the market experience a sudden nosedive and a selling frenzy as investors scramble to protect their investments? In times of such uncertainty, investing in gold is a dependable way of protecting your wealth. However, gold prices could rise quickly if the market sees a major sell-off. Best to protect your wealth now and be positioned to profit when gold prices eventually take off.